Usual hours are M-Sat 11am - 4pm, sometimes we stay later or open earlier just give us a call. 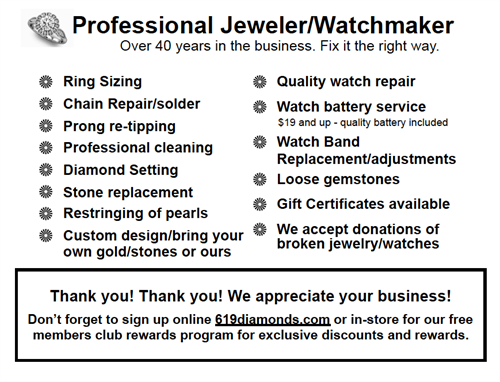 Local Jeweler specializing in collectables, clock and watch repair. 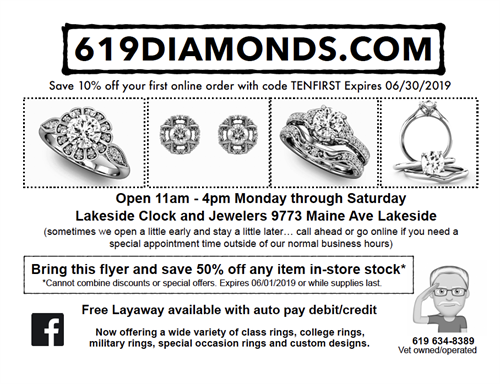 If you have never been in before please stop by at least once and check us out.